Railpictures.ca - Bill Hooper Photo: Southbound Agawa Canyon Tour train crosses the trestle over the hydro dam at Montreal Falls. | Railpictures.ca – Canadian Railway Photography – photographie ferroviaire Canadienne. 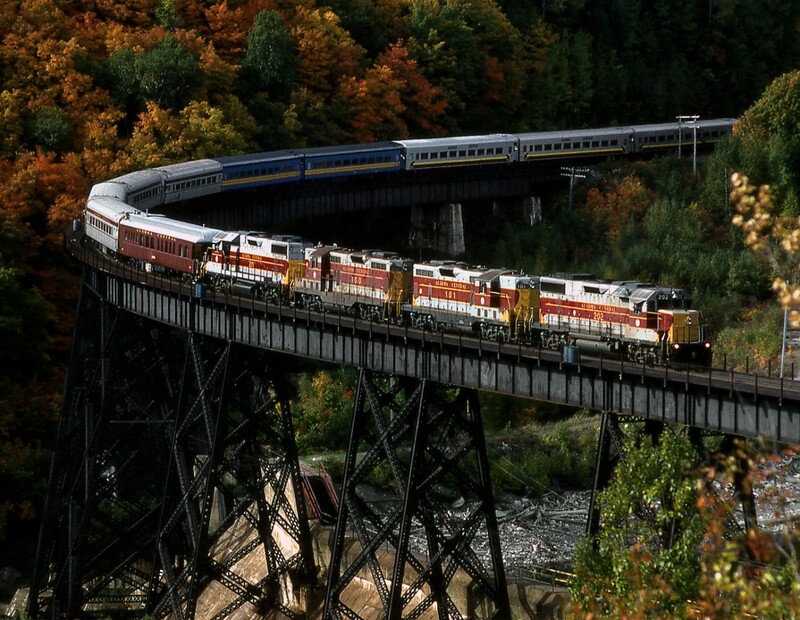 Caption: Southbound Agawa Canyon Tour train crosses the trestle over the hydro dam at Montreal Falls. My gawd, Bill !!! That is the shot I always wanted to do but didn’t. I met the guy who did the photography for the railroad and he offered to drive me in on that hydro road but it just wasn’t in the cards (rain). Wondering if you went that route. That is a fantastic photo. Will rank up there with my absolute favourites on this site. Sorry I can only give you one star.